Lela grew up in Oneida Nation of the Thames, a reserve just 30 kilometres south of London, Ontario. She was born to an Oneida and Ojibwe father, and a Cayuga mother. As far as she knew, she and her siblings had a happy childhood. Without warning, her parents separated when she was 11 years old. Lela had no choice but to move to Fort Erie with her mom, a two-and-a-half-hour drive from the home she knew and loved. “I was a confused kid. I didn’t understand why I was taken out of the place I was happy at.” She soon started to rebel and didn’t know why. “I had a really hard time in grade school, I barely made it through.” High school was no easier, and by 14 she was a teenage runaway. Embracing her experiences, Lela began a new journey of self-discovery. 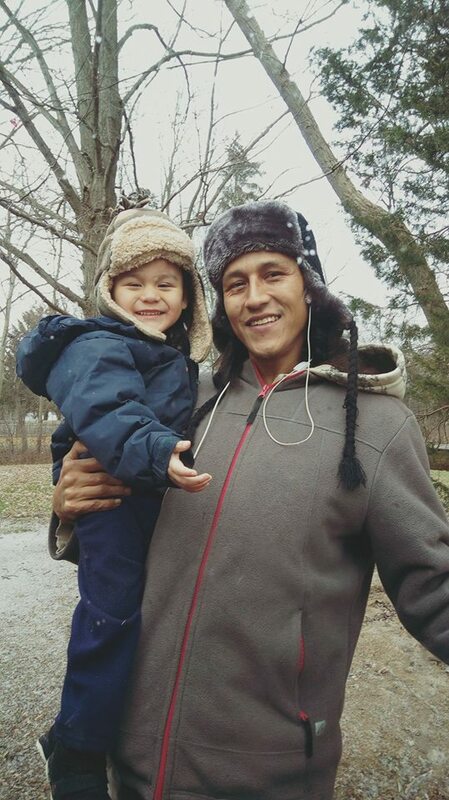 “I chose to heal in my own way, and how I did that was by seeking out my culture. I went to socials, ceremonies, spoke with elders, and it all felt really good, like it was a part of who I really was.” That’s when things started to fall into place for her. Lela, who belongs to the wolf clan, was given her Oneida name, Yeyatalunyuhe, which means ‘she draws it’. Lela now lives in London, Ontario, just 20 minutes away from her home community. She has since earned a certificate as a Personal Support Worker (PSW) and works in home care. 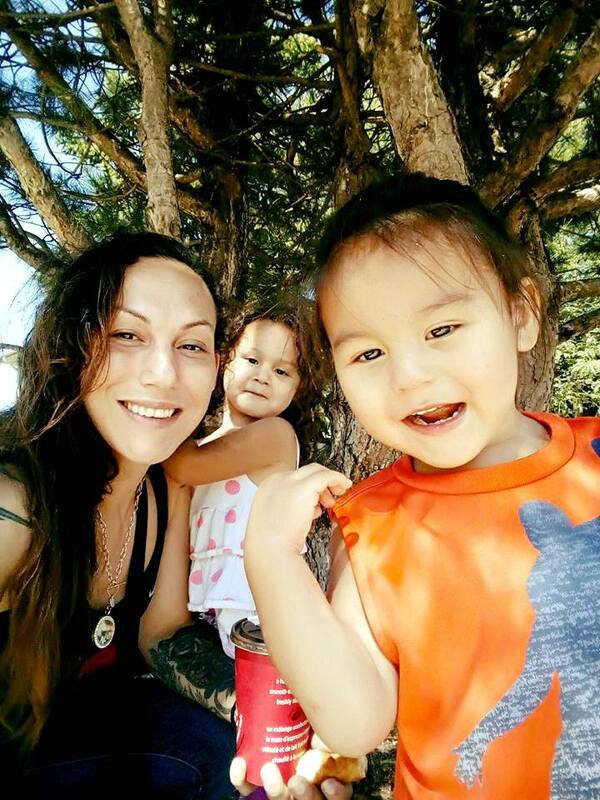 She’s also a Wellness Advocate for DoTerra Essential Oils, and most recently, became co-host of The Tribal North Radio Show on Radio Western 94.9FM, alongside Young Jibwe. 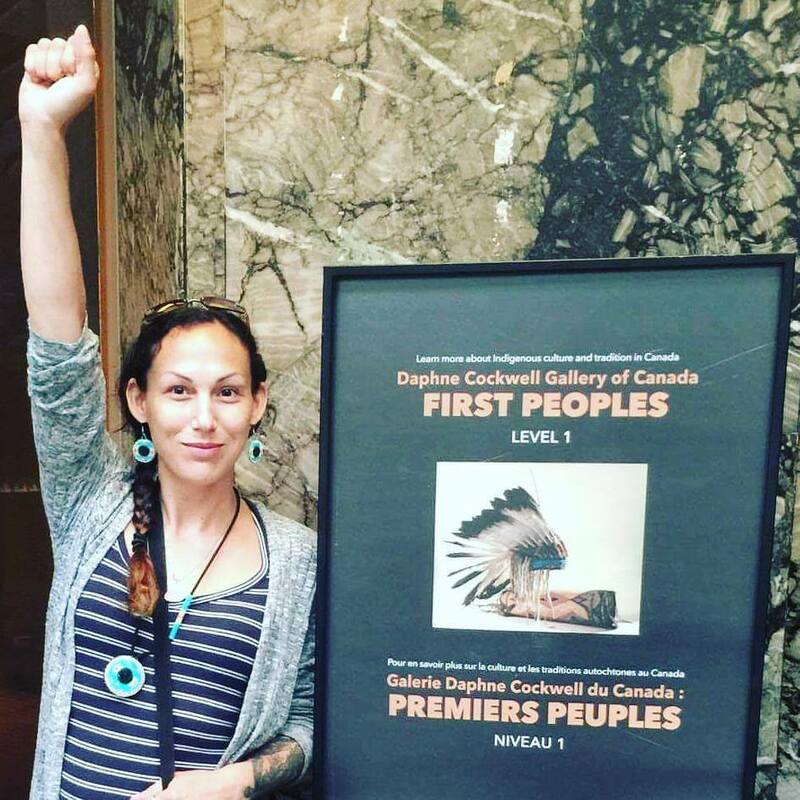 Lela has also found her strength in standing up for what she believes in and was one of the organizers and leaders of the February 12th Justice Rally for Colten Boushie in London. Most importantly, she’s a mom who loves her kids, has a supportive partner, and enjoys the work she does. “I’m fortunate to have a partner who is my teammate. His support is the biggest reason I’m able to do what I do,” she gushes of her partner, Jordon, with whom she’s been in a healthy relationship for 5 years. And counting.